He is also delighted that the people are now liking his style of batting. While Virat Kohli hogs the limelight for India’s recent success across formats and rightly so, there is little denying that Cheteshwar Pujara has been equally impressive in Tests in the last few years. Pujara underlined his huge importance in the Test team once again with a starring role in the historic Test series in Australia. India beat the hosts 2-1 to register their first-ever Test series win on Australian soil and Pujara was one of the biggest architects of it. He started the series with a fighting knock of 123 in Adelaide before scoring 106 in Melbourne as India won both the games. He then finished the series with an epic knock of 193 in Sydney. In a series where only one batsman managed to cross the 300-run mark, Pujara scored 521 runs with the help of three centuries. In doing so, he became one of the very few visiting batsmen to have scored three or more centuries in a series in Australia. He also became only the fifth Indian batsman after Rahul Dravid (1203 in 2003/04), Vijay Hazare (1192 in 1947/48), Virat Kohli (1093 in 2014/15) and Sunil Gavaskar (1032 in 1977/98) to face more than 1000 balls in a Test series in Australia. But while Pujara continues to be Indian Test team’s backbone, he has faced criticism time and again for his slow approach with the bat. 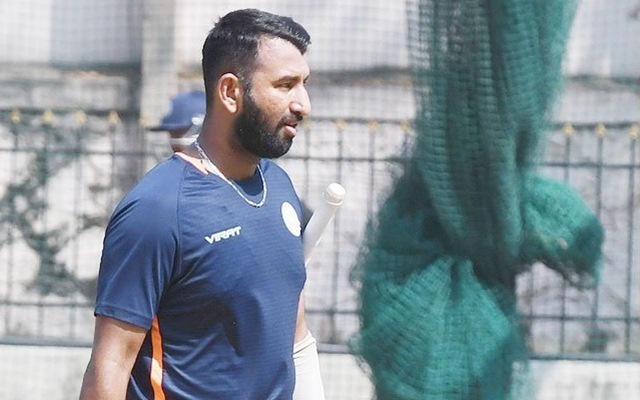 In fact, Pujara has also been dropped for his batting style most notably during the first Test against England last year. But after silencing his critics in style with that very method of his, the ever-reliable batsman has said that he bats according to the situation. He cited the examples of the legendary Sachin Tendulkar to prove that attacking is not the only option in all the situations. Cheteshwar Pujara feels his performance in Australia have made the mass realise that what is required to well in Test cricket. He said that not only the team-management but the people’s perception towards his batting has changed too. “People have realized what’s required to perform well in Test cricket. People started appreciating the way I was batting, not just the Indian team management,” he said adding, “Everyone has realized that there are different methods of playing this format. And because of white ball cricket, there’ve been players who’ve been playing many shots … they’ve been very aggressive. I still respect that. The Saurashtra star, who recently helped his state team make it to the final of Ranji Trophy, insisted that despite being criticised he kept believing in his batting style. “When talk about intent and strike rate was going on, I just kept believing in myself, in my ability. I actually don’t get worried about what people are saying. Sometimes you just need to do the right thing for the team,” he said.